Before we moved, we decided that the kitchen would be the first room we tackled in the new house. 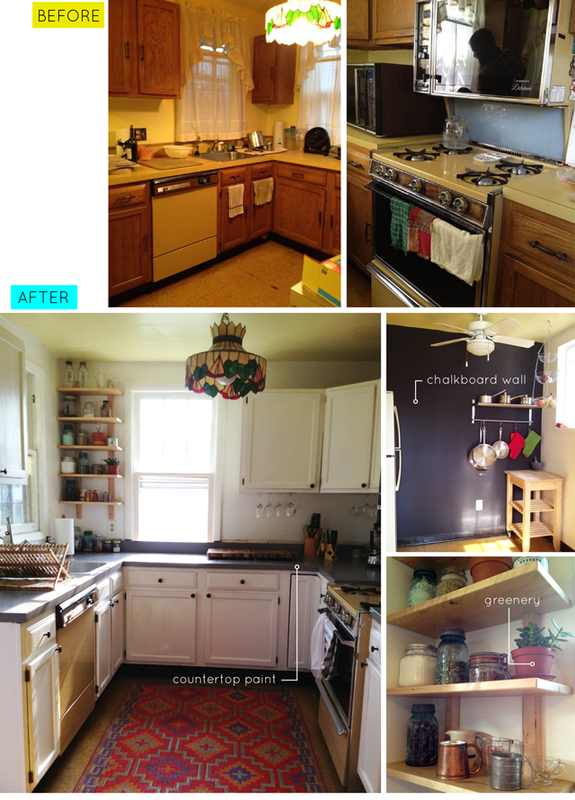 Though our budget prevented us from diving into a full-scale renovation (hopefully that will come in the next few years and will include knocking down a wall), we've come a long way from the outdated, gold kitchen the house came with. It's amazing what a few cans of paint can do. We still need to do something about the floors, ceiling, and "pizza hut" lamp, but so far we're enjoying the simple upgrades. ps, Many thanks to the friends who helped paint cabinets. We owe you!